That following Wednesday Apple CEO Steve Jobs would introduce the video iPods in one of his famed keynote speeches, boasting about the introduction of video podcasts to iTunes. Luckily Macpherson was savvy enough grab an unlimited bandwidth plan from his hosting company, prepping for the windfall that followed Tiki Bar’s ‘Johnny Johnny’ (Kevin Gamble) character’s beaming mug blown up on the tech world’s stage right behind the magnanimous Jobs. That day the cult web show went from just under 10,000 subscribers to over 60,000. For the next four months it would sit atop the iTunes top 100 podcasts charts garnering the show over 200,000 new subscribers to the bi-monthly series. Today, almost four years after the first somewhat awkward episode was broadcast out through the RSS waves, the series has grown from a creative hobby into a thriving and sustainable business. Subscribers now total nearly half a million. Having moved the set from Macpherson’s modest Vancouver apartment to a stunning new location based “at sea,” Tiki Bar TV heads into its fifth season. 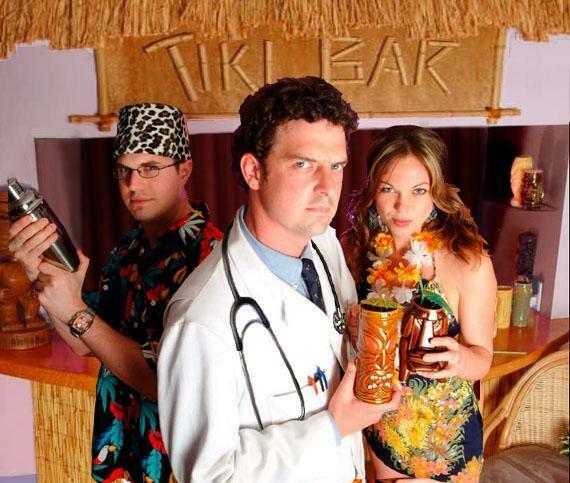 The show’s nicknamed stars—Doctor Tiki (Macpherson), Lala (Lara Doucette) and Johnny Johnny (Gamble) —have become internet celebrities. Led by producer Tosca Musk, who joined the operation in summer of 2006, and Macpherson himself who stars as the lab coat donning ‘Doctor Tiki’ in this series, Tiki Bar TV continues to stay on forefront of web video technology. As one of the first narrative format video podcasts, the series is now continuing to stay on the cutting edge of the web series world by recently signing a deal with Dolby Laboratories to be the first web series to be encoded in Dolby 5.1 surround sound. For season five, the Tiki Bar has set sail on the high seas, literally, ditching the much loved 1950’s motif apartment for an elaborate pirate ship Tiki Bar of which even Disney must be jealous. We lucky ones at Tubefilter had the chance to catch a ride on the new Tiki ship set, which we were told spends most of its time drifting “somewhere in the South Pacific.” So as we made our way to the top secret docking location, we were sworn to secrecy. Our hosts Macpherson and Musk had instructed us to come in the afternoon, and, if we were lucky, we would get a chance to join them for their five o’clock happy hour at the Tiki Bar, complete with some homemade fresh Tiki drinks. We were sold. 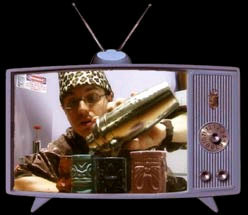 Tubefilter: Tell us about the early days of Tiki Bar TV. What gave you the idea to even start something like this? Jeff Macpherson: ‘Johnny Johnny’ [Kevin] had been nagging me for months saying we should do our own podcast. I had no idea what he was talking about. It was audio podcasting at that point, around late 2004. I thought that it had something to do with iPods, like you could broadcast form one iPod to another iPod, and I thought, ‘well that’s kind of weird.’ And then I realized it’s just a radio show and I thought that was cool, since as a kid I had recorded my own little radio show recorded in my closet. But I had left radio production by the age of twelve and gotten into video. As soon as he showed me Rocketboom, I was just absolutely blown away by the possibility of having our own TV show. It was just so exciting. Everyone was making video blogs except for Rocketboom who was really making a show. As long as we have two angles and use some music and put on costumes, we’re suddenly a show compared to what a video blog is, which is really a diary. The bar was really low back then. So I invited over Lala and Kevin came over and brought his little vacation Handycam. And we shot the first episode without really knowing what we were doing. We had a drink recipe so the show had a purpose of some kind but that was about it. And I already had the Tiki Bar, my apartment was decorated that way. I had just moved into this place by myself and I wanted to have a theme of some kind. I was never allowed to when I lived at home. And I had a costume, I had doctor’s outfit and I had this $10 cheap fez for Johnny Johnny, so we made him the bartender. Originally I had thought, well the doctor would fix the drinks, but then we were like Johnny would have nothing to do. Tubefilter: How did you come up with Johnny Johnny’s name? Macpherson: I had a habit of naming people Johnny something – Johnny Too Fast, Johnny Shortstop, whatever. And we were trying to come up with his name on that day. Are you going to be Johnny Bartender? No. And we just couldn’t come up with it. So it ended up being Johnny Johnny. That was the first episode. We kept ourselves anonymous because Johnny Johnny had a career in film and I had a career in film going and we didn’t really want the regular film industry to see what we were doing and think that was a reflection of the quality of work we were doing. So we kept anonymous for a very long time, until we realized it was beneficial to reveal who we really were. 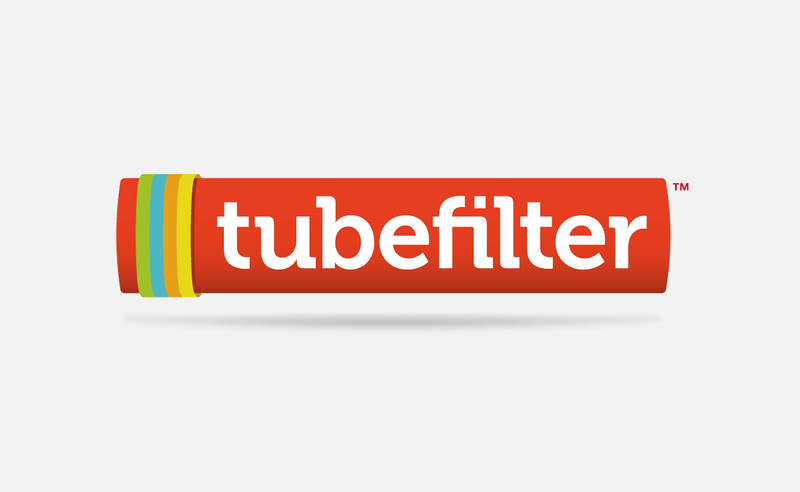 Tubefilter: What kept it going? What made you ignore those nay-saying friends of yours? Macpherson: Well I thought I could see something they couldn’t. This was inevitable. This was not going to stop. I was surprised at how quickly it evolved and in some ways surprised at how slow it’s been. Just the mere ability for anybody to produce a program and have worldwide distribution is remarkable. Especially for podcasting, its a subscription basis so that you’re broadcasting to them. You make something and they don’t have to stumble across your site all the time was just so extraordinary that I knew it was going to have an incredible impact on the entire media industry. I didn’t want to leave it because I didn’t want it to happen without me. It’s often been suggested that the people who get in early don’t always make all the money, and we should just wait until this whole thing is figured out. And my thought is that that’s the worst idea in the world. You only get to be there for the development or creation of an industry once I think. And then it’s done. They may forget us in ten years, but I guess the cool thing about the web is people will always be able to go back and maybe there will be a new generation who looks back and says ‘look at these crazy videos these guys made.’ It was tough though because it was eating at my time. Working in regular media is a real grind. Tubefilter: What were you doing with the rest of your time? What else did you have going on? Macpherson: Just prior to that, I was writing a mini-series for MTV Networks. It was going to be their first mini-series. It was originally going to be a TV movie but the project kept growing and growing, so I really had all my eggs in that one basket. I also did an independent feature call Come Together that scored me the gig at MTV. But then it just went away, it was killed by reality TV, or maybe they were just being nice (saying that). The other thing about MTV is that they were really chasing trends, and this project was about kids who were making ecstasy, and it was based on a real story, and that kind of drug use declined a little bit, so they were like, ‘can we change it to meth?’ And I was like, oooh, and one of the problems was that one the effects of the drug was it makes you really empathetic, and loving, although it’s false, so it’s a coming of age story based on this particular drug, so changing it to meth didn’t really work. And the deal just died. They were saying that on their ninth re-run of something like Road Rules, they were getting better ratings than any of their original TV movies, so they just shut down the whole department. Tubefilter: Before iTunes how were you distributing? Macpherson: On our site, using Quicktime files. I asked everyone we knew about podcasting and found that no one I knew could help. 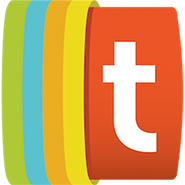 So I found that Blogger would automatically create an RSS feed. I actually didn’t want to have a web site. I thought the whole revolution was going to be that this is a broadcast. There’s no site that you had to go to. So that early site was tikibartv.blogspot.com. And we created the RSS feed. And we submitted it to FireAnt and that was the first podcast directory we were on. We had one guy be like “I listen to Tiki Bar TV and I don’t understand it.” Since many of the podcasts were audio that’s what he was used to. So that’s why we have the “TV” in the name, it was an attempt to tell the viewer that there was video in the podcast. Tubefilter: Tell us about the call from Apple. When was that? Macpherson: It was a week prior to Jobs’ keynote speech in October 2005. What we would find out afterward is that long before I got that call they were well aware of Tiki Bar at Apple. They had been using Tiki Bar to test out the iPod, iTunes. 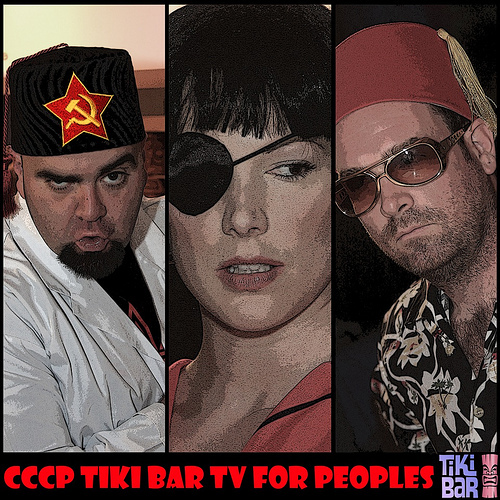 They had already decided that they were going to have podcasting support in iTunes, but the decision to have video podcasts supported by iTunes was a direct result of Tiki Bar. It may have happened eventually, but our show was how the executives learned about video podcasting. I went down to the [Apple] campus and they relayed the story to me. They were playing an episode of Tiki Bar to show what was coming through the RSS feed and one of the executives said, ‘you can do that?’ When I went down to visit them, everybody who was in these departments knew who I was and that was pretty cool. The call from Apple was an email first and then a phone call. It was pretty awesome, because maybe there were 10,000 people subscribed to the show, which was great. I mean we would have done it even it there had been 100 people subscribed. We were sort of half in character, which we still do. We’re like, ‘we’re not really in a show, we’re pretending it’s a show.’ And you the audience have to pretend as well. So this email was great. The MTV project had totally dried up. I had my head in my hands and my savings were running down, but I’m thinking ‘I have to keep doing this.’ I even thought that I would start putting stuff up for sale to keep doing it. Tubefilter: What did the email say? Macpherson: The email said something like, “Hi, I’m with Apple. 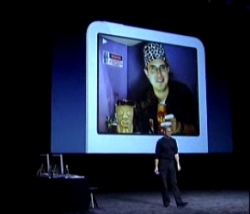 We want to get your permission to use Tiki Bar as part of a special promotion for iTunes.” And this was now like five days away from Jobs’ keynote speech where everyone was wondering whether or not the iPod was going to support video. I’m like, absolutely! So they put me in touch with Chiat Day, the ad agency, and they said to me ‘we hear we’re going to use you, can you send us your betacam masters and your digibetacam master of your show.’ And we’re like, ‘Have you seen the show?’ ‘No, no, but we understand it’s a program we’re going to use for Apple.’ Then I had a call with the director of iTunes, and he sounded like a Hollywood guy on the speaker phone. Should I be prepared for a bandwidth traffic rush? ‘yeah, you should,’ he tells me. Tubefilter: So what did you do next? Macpherson: I went to [internet hosting company] Libsyn, who as far as I know they were one of the first unlimited bandwidth hosts. What we were originally doing is I put an episode up on a friend’s server and another one on another server. We were trying to do crude load balancing. At midnight, when the clock would reset for bandwidth we would always cross our fingers hoping it wouldn’t knock down our web site. We knocked down a few of them. It was really fun. Libsyn offered this crazy deal for unlimited bandwidth for like $10 a month. And as I was registering the night before the keynote, I used the name “Tiki” as the user name. And the administrator interrupted with a little chat window, saying “is this Tiki Bar TV?” And we were still pretty anonymous back then. We were known, but only in really geeky tech circles. You really had to go out of your way to find our show. It was not easy. To be doing something where everyone around me in my life didn’t really have any sense that it was anything at all. And then to have these moments to be contacted by anonymous people saying ‘hey I know what you’re doing and I think it’s really great!’ It was really encouraging. 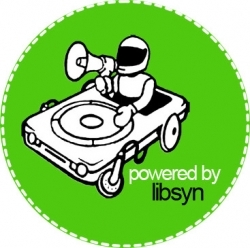 Tubefilter: You still work today with those guys at Libsyn, right? Macpherson: Libsyn later became Wizzard Media, and we stayed in touch and eventually got into business with them as our advertising partner. They are great guys and they have and awesome player too. We’re about to deploy the new player. I don’t know if other players can do this, but if you’re watching one episode it can suggest another episode to watch and can navigate the browser to the permalink so you don’t have a disconnect with the inline comments under the video. They also have the ability to do IP targeting – the whole point of their system at Wizzard is that they want to be able to do local advertising within a podcast. Geo-triggered targeting. So you can have say local LA ads on the content. If I owned a Tiki Bar, there’s about one or two in every major city, I would definitely use that. It’s probably too small for us to deal with one bar for say $100 if they wanted to advertise on our show [broadly] so this would allow for that in an automatic process like buying Google Ad Words. Tubefilter: Staying on advertising, when did you start picking up sponsors for the series? Macpherson: This was when Tosca comes in. Tosca Musk: When they decided that they wanted to start making money. Macpherson:: The show needed a producer. Tubefilter: How many episodes along was the show? Musk: Twenty. I came in June or July of 2006. Tubefilter: How did you guys get hooked up with each other? So I go to iTunes, and I had no idea how to watch anything on iTunes, and this little square in the bottom left where the album art is I’m watching this tiny little video. I had no idea it could get any larger. I’m watching this and I’m thinking this is absolutely, sorry Jeff, awful. There’s now way. I just shot a film in Super 35mm with Dolby sound, this beautiful film. So I’m going from the biggest picture I could get to this tiny little thing. I just didn’t understand at all why I would do that. The humor is good, it’s actually quite entertaining, but I don’t see where it’s going to go, this tiny little picture, this thumbnail really. Tubefilter: How did you settle on your revenue model (DVDs, merchandising, etc.) for the show? Macpherson: It was funny because for the longest time I thought someone else was going to figure out the revenue model. It seemed pretty clear when we first started that well, we’ll get a liquor sponsor. Or eventually someone will give us a little bit of money, even a grand an episode or something, because it was still a hobby at that point. And then we met with lots of different companies, some of them promising to be able to do that for us. But as a filmmaker, you’re not necessarily a business person. They didn’t teach us merchandising in film school. Or shipping and handling. Or writing clever ad copy. I found that any attempt to sell something to someone made me very uncomfortable. Musk: They didn’t even teach us how to do press kits. Macpherson: So here we were. The old model was this: you make a show and then you turn it over to this whole distribution system where they exploit it for all this money and you get some of that money. But with us, when we finish an episode, we still haven’t made a product. The show itself was not a product—until recently. Nothing could be sold on it. It was a very difficult mindset to get out of. For two of three years we’re getting all these views, we’re doing well and people know us, they are watching us they love it, etc. – but where’s the money? Who’s the person who’s going to come along and give us money for it? There were a number of people who did come along, but they were severely undervaluing it. This really old media mindset brought into new media just doesn’t jive. The meetings we’ve had, I don’t think I would have been able to have several years ago, and we’ve met with all these networks. And they are all like ‘this is cool.’ But we don’t know what to do with each other, and the numbers never make sense. Musk: We went pretty far down the road with Sony. We got offers from them even. But then the writer’s strike hit and everything was pulled. Everything stopped. Tubefilter: Did a lot of the digital media folks you met with get what was going on? Musk: It’s very frustrating that many of these so called digital execs don’t know any of the indie guys. They don’t know Ask a Ninja, They don’t know Diggnation, They don’t know Tiki Bar. Some know Rocketboom, but not really. Macpherson: That’s the thing about web celebrity. You can never really get an ego because in one room everyone can be like YEAH!, and another room you could walk in and no one knows who you are. Tubefilter: Let’s talk about reaching out to meet your fans. Have you done Comic-Con? Musk: Not yet. We’re doing the next Comic-Con, possibly sharing a booth with the guys from Pure Pwnage. In fact the DVD release party was really the first gathering or event that we’ve had for the show. It was a great turnout and we didn’t even really publicize it, about 150 people in-and-out. And Dolby sponsored that. Macpherson: I did have an unofficial meetup in San Francisco, and I vowed never to do an event alone again. It was just exhausting. It was like being a politician. Musk: We also have our Special Day that is our own holiday in Tiki Bar. It just happens to be in July when Comic-Con is going to be held. So we’re going to be having a Special Day event. We’ll have all sorts of games and events for people to play. The whole cast will be there and hopefully many of our guest stars. Tubefilter: What kind of structure are the sponsorship deals for the show? Musk: They pay per view up to a certain number. So they could say ‘we want X number of views in the US’. When it hits that number, the ad stops. With Wizzard, they just stitch the ad on and it can be removed. So we can advertise over our entire catalog. We don’t have an ad sales team—we don’t have time to sell ads. So Wizzard handles that. Macpherson: We also had Puma, which was great. They wanted a talent-created ad, so we made that for them and showed it on our site. Tubefilter: How did Dolby come on as a sponsor? Musk: Dolby has been a fan of Tiki Bar for years. They came in around the end of 2006—it was the Revision3 launch party and we showed our episode there. They wanted to see if we could make our show in Dolby 5.1 surround sound. We thought, yeah that sounds great! So this season is going to be shot in Dolby 5.1 and HD. A web series hasn’t been done that way before, that we know of. Dolby is working with Wizzard Media and Apple too, all working together to figure out how we can actually encode the video to make it work and not be the biggest file in the world. Tubefilter: How did you find Tiki? I always wanted to do something from the 1950’s. Something in that era, I was thinking 1950’s chrome diner. But one of the styles I came across was Tiki. 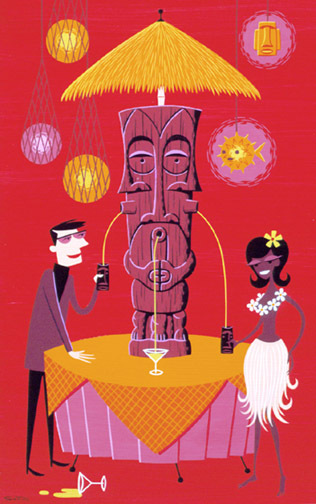 And the illustrator Shag—Josh Agle— (see right) who I think is a big part of the resurgence of Tiki. It’s now on greeting cards and it’s this real specific style that’s got a real sense of humor. My apartment was designed off this guy’s illustrations and drawings—the particular palm trees and the fake fireplace with the three-tiered light. Tubefilter: So was it more an aesthetic than a philosophy that defines Tiki? Macpherson: You see a real sense of humor in Shag’s drawings that define the sensibilities of our characters. There are a few different types. There are people who don’t know that it’s kitsch. They take it seriously and they will collect anything that is Tiki, Native Polynesian or from the South Pacific. They don’t see an irony or a sense of humor in it. And that’s unfortunate. A good deal of it all is pretty damn ugly stuff. So the Tiki that I’m really attracted to is revisionist, modern revisionist. Clean lines. It’s the modern take on it. Musk: [showing off their custom-made Tiki mugs] These were based off our logo and made by a fan. They are called ‘The Charooba.’ We’re just about to order a third color one. Retro Red. And there’s the Robot Box shot glasses. Colin Beadle (who plays Drink Bot) is the designer of all of these. 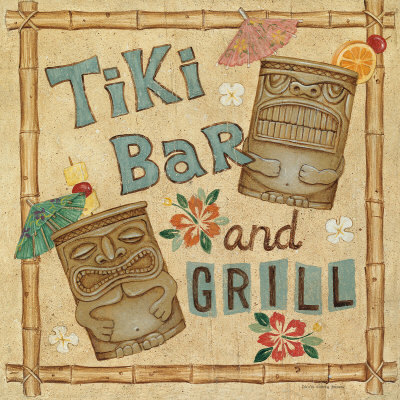 Tubefilter: Are there specific rules about Tiki Bars? Macpherson: There are some rules about it. An authentic Tiki Bar may not serve beer or wine. It’s pretty much a faux pas to order a high ball drink like a vodka tonic. No TV set. No fighting. No pretense. It’s hard to be a snob when you’re wearing a lei. And fresh ingredients, never using bar syrups like substitutes for fruit juices. And that’s where Tiki drinks get their bad name. Moving out of the golden era of the ’50s and people started using syrups and substitutes and the drinks started to become these sickly sweet things. It’s almost impossible to get an authentic good Tiki drink at anything other than a Tiki Bar. And I’ve been to Tiki Bars where they say Tiki, but they are not. A Mai Tai is probably one of the world’s best drinks when it’s made right. But it has to be so perfectly done or otherwise it’s disgusting. A Mai Tai at its base is fresh lime juice and rum. If you substitute lime juice for anything else it becomes disgusting. If you go to any bar and ask for Mai Tai, they’ll get you something, but it’s probably a Shirley Temple with Tequila. I didn’t use to be this passionate about it until I started drinking them and then you care. Some of them can be disgustingly sweet. The Mojito is a modern day type of Tiki drink that is popular now. It has that same attention to detail and it makes a big difference who makes it. Some of the other things that would be in a Tiki Bar are obivously Tiki Mugs. The drinks are strong. And the quality of them is absolutely critical. You can get some of that quality at a place like Tiki Ti in Hollywood. It opened in 1961 by someone who defected from a famous Tiki Bar. Tubefilter: Did you start out with a drink recipe book? Macpherson: The first episode was called “Margarita” and we got in trouble with the Tiki community for that, since we used Tequila. And we invoked Jimmy Buffet and he’s like the devil. He’s a country singer that co-opted the who culture in an absolutely inauthentic way and it pissed a bunch of people off. He wasn’t Tiki at all. 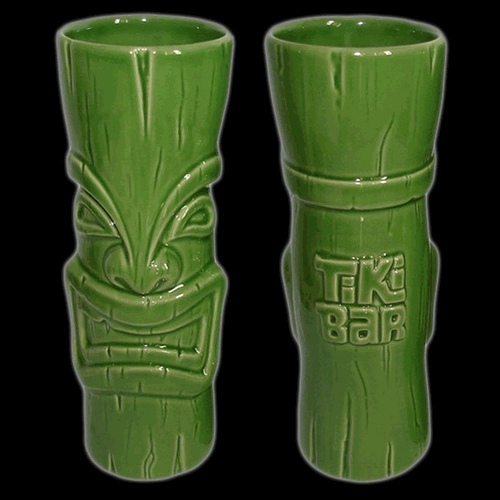 Tubefilter: Has the fan base of the show adopted this resurgence in Tiki? Macpherson: Hmm, I don’t know. I always assume that someone is already into Tiki or they are just watching it for the comedy. But then again, Andy at Dolby for example turned his pool house into a Tiki bar because of the show. That’s pretty cool. Musk: And there’s a lot of people that wear fezzes now that didn’t use to. Tubefilter: Have you guys ever considered the idea of opening your own Tiki Bar? Musk: Yes, we would love to. Macpherson: I think it would be pretty cool if we shot on location at the bar and then had a destination for people to come to. We wouldn’t be there every night—actually knowing us we would be there every night. Tubefilter: That begs the question, is this a long term play for you guys? You’ve been at it for several years, are you still going to be doing it in 5 years? Musk: We would still make other shows for the internet. Tiki Bar TV would live on, but the characters age though. Macpherson: (grinning slying at Tosca) Doctors just get more wise though…I don’t think they are watching me for my youth. Musk: I think the only way we would disappear is if we seriously had no money. And even then we would probably keep doing it. Tubefilter: Do you sustain your lives full-time through Tiki Bar? Macpherson: Yeah. It’s full time. It’s had good months and bad months. There was a rush of advertising several months ago and we were making good money but we put most of it into this new set. Musk: Although the advertisers are coming slowly but surely, they don’t pay very much. So mostly we survive through fan support through merchandising and even donations. Macpherson: It would be nice if it was one simple advertiser like a liquor sponsor. And we went very far down the road with Bacardi, but their lawyers said don’t do it because they can’t advertise on any show that shows drinking. The merchandise is fun to make. It’s not like when you’re a filmmaker and you think t-shirt sales are something that will be done by some department and they will be cheesy and I don’t care. When we’re actually conceiving of something, we’re thinking about how it extends the experience—and I know I sound like a cheesy marketer, but it’s actually true. I never thought that I would be in the business of manufacturing anything. Tubefilter: So who mostly watches the show? Do kids watch it at all? Macpherson: Well there is bad language. We’ll drop the F-bomb. But it’s interesting. It is like a kids show—it’s colorful and fast. I’m glad that generally speaking teenagers don’t watch the show. I don’t like the idea that high school kids watching the glorifying of drinking. Musk: The majority of our viewers are between 24 and 44, about 70%. Mostly men. But a lot of people buying from our store are women, mainly as gifts. Tubefilter: What about non-iTunes distrubiton? YouTube, Joost, etc. Are you YouTube partners for example? Macpherson: Yes, we are YouTube partners, but we never really use it though. Mostly due to little faith in that. And the popup is so intrusive that’s it not worth the little money you make on it. I rather viewers have an unfettered experience watching the episode. Musk: And we just launched on Joost, they took 40 of our episodes. Tubefilter: So what would you tell a web series creator starting out today? What advice would you give them? Musk: Make it for the audience and not for yourself. Tubefilter: Interesting, what do you mean by that? Musk: I find that many filmmakers have this story that they want to tell and its very personal and they want to keep it that way. A lot of people don’t necessarily relate to the story in the specific way they want to tell it. We make a very concerted effort to make sure that we make each episode with the viewer in mind. And we cut out a lot that we love but we know that the audience may not want in there. Macpherson: We have that hypothetical audience member in mind. I read that book, the only book of Stephen King’s that I ever read, called On Writing, and he says to have that hypothetical reader in mind. And we do. When we make this we don’t make it for our own greatness. It’s probably the same effect, but the filmmaker I was six years ago. was the one of ‘I’m going to make this and people will come.’ And they didn’t come. Tubefilter: Do you listen to your fans? Macpherson: Always. But you have to be careful because the most vocal are not always represent how everybody feels. You could get two or three comments that they liked something the old way. But people who are pleased with the way things are going don’t always speak up. You only get the extremes. You have to be careful or you could end up just neutering your show. Tubefilter: Have you ever thought about charging for your show? Musk: Yeah, we’ve thought about it. And one of the things we’re playing around with right now is charging for the HD versions of the episodes. For $1.99 or whatever we can sell it for. Macpherson: The tough thing is the balance. There’s a balance between being innovative and having this web show that you can watch in Dolby 5.1 that you charge for and getting it out there wide. Lots of shows are in HD now. So we pretty much have to offer it in HD for free, but maybe you pay for the Dolby 5.1 versions. The audiophiles might pay for this. Which means that we better start recording episodes using those rear speakers! Tubefilter: Would you take a reduced size of audience that was paying for the show versus a very large free audience? Macpherson: Hmmm.. maybe when I have kids. But we’re so grateful to have our audience. There’s a quote from Cory Doctorow , co-editor of Boing Boing, ‘The greatest threat to an artist is obscurity, not piracy.’ That’s what kills an artist, when you have no interest in them. Musk: I don’t think that we would ever prevent someone from watching the show who isn’t going to pay for it. We would just present it in a different way. So if you pay for it, you get this premium, ad-free version in HD and Dolby 5.1. And the only reason we would ask people to pay for it is so that we can survive and continue making the show for them. Little do they know that it takes money to make the show. Tubefilter: How long does it take to finish an episode? Musk: It can take 3-4 weeks, but it’s just Jeff and I really doing all of this. So we’re merchandising, editing, planning, etc. all at the same time. Macpherson: It’s takes a long time to edit it well. It’s hard to find a good editor. So many people in new media think that an editor is just a tech person, an equipment operator. But it’s so much more. It’s all about their tastes. Musk: Especially since Tiki Bar is improv. We have an idea of the episode. And then we’re like, alright let’s shoot it. Macpherson: There’s episodes where the entire climax is completely manufactured in the edit. A great example of that is in “The Icebreaker” with me (Dr. Tiki) and Mr. Ambassador where I am trying to dupe him into drinking this drink that will freeze him. And in the actual take I just handed him the drink and he drinks it. Then in editing Tosca pointed out that there’s no build-up. So we grabbed footage where I’m listening to Mr. Amabassador and he’s listening to me, and we cut in every look we could get of looking at each other while throwing in some really intense music. So it became a stand off. A lot of our punch lines are the edit. It’s counter-intuitive. We do lot of the things we do are not what you’re supposed to do. Like letting people start laughing, or when we have a completely failed attempt at a scene and that’s what we end up using. We don’t even bother trying to get the story point across. Musk: And it’s hard because a lot of our editors don’t get that. A lot the editors coming from the film industry want to cut the episode a very structured way. They will come in and they have talent, and they will see a story and just cut cut cut and have a clear story. But we’ll see it and think, that’s not very funny. Where are all the bad takes? Where are the spit takes? The moments when they dropped out of character? And it hard to get them to understand that we actually love it when Lala takes a sip and then spits it right out and everyone starts laughing. Macpherson: Or when someone doesn’t seem to know what they are talking about when they are speaking. You know, beacuse they are really making it up as they are going. It happens regularly where we watch the first cut and the story is all there, but it’s just isn’t funny. First of all the stories are absolutely terrible, so if you’re cutting it for the purpose of trying to tell the story it’s going to be the lamest thing ever. The things that go wrong is what the show is about. Tubefilter: So you guys are really running a startup. Macpherson: Yup, it took a few years, but we sure are. As soon as we brought the merchandise in house then it suddenly really was. At first we resisted, thinking we don’t need to be worrying about things like shipping and handling. It was the old mentality that we’re good at this (making the show) and we’ll get other people to do that. But when we can actually see the merchandise we’re reminded that it actually is our business. We do sell advertisements, but the business is selling stuff. And it allows us to keep making the show. Musk: And we come up with new ideas and new things that the audience will want to buy. Macpherson: And when we get it wrong it hurts. We’re like what are we going to do with this stuff? But sometimes things we make at first don’t sell at all, and we think they are dead. Then all of a sudden they start selling. What happens is when the show is evergreen and new fans come watch the show for the first time, things sell. And at first I didn’t really want to be a walking infomercial for our own products, but you kind of have to. Musk: We’re only doing it to keep making the show.